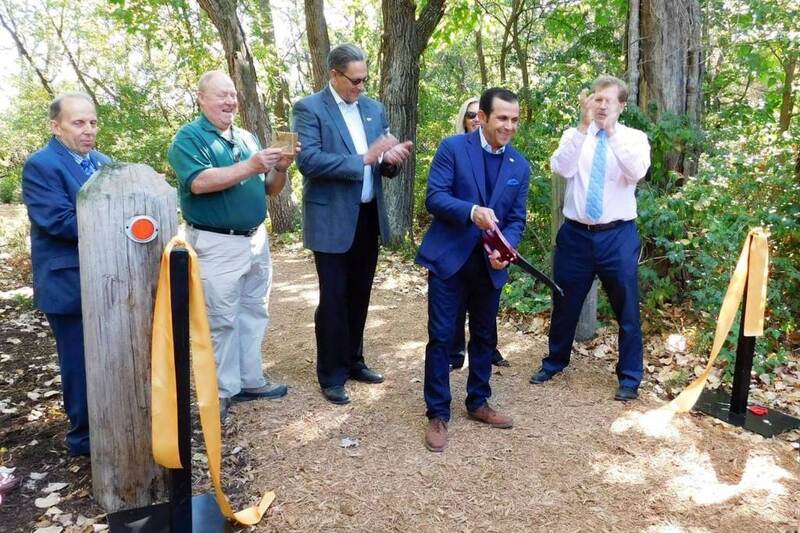 Brierwoods Preserve is Hawthorn Woods' newest park. It was dedicated on September 29, 2017 and is located adjacent to Acorn Acres Park. This 11.5 acre preserve features beautiful walking trails, an observation deck overlooking a wetland area, and various natural elements including trees, butterflies, plants, and wildlife. In 2017, the Village of Hawthorn Woods received a $20,000 grant from CN EcoConnexions From the Ground Up program to complete the Wish You Were Here...A Migratory Monarch Project. This unique project was developed by the Village of Hawthorn Woods in partnership with America in Bloom. Sustainable habitat restoration and planting of pollinator-dependent native plants are the primary objectives of the project.